Dallas, TX - Republican Gov. Greg Abbott of Texas sustained “extensive second- and third-degree burns” on both legs below the knees and both feet — and may miss next week’s Republican National Convention as a result, his office said Sunday. The governor was treated for several hours at nearby St. John’s Medical Center. As he was being released, a top aide called from Texas to say a gunman had opened fire in downtown Dallas — an attack that killed five police officers and wounded seven others. “His first words to us were, ‘I’ve got to come back,’” Hirsch said. 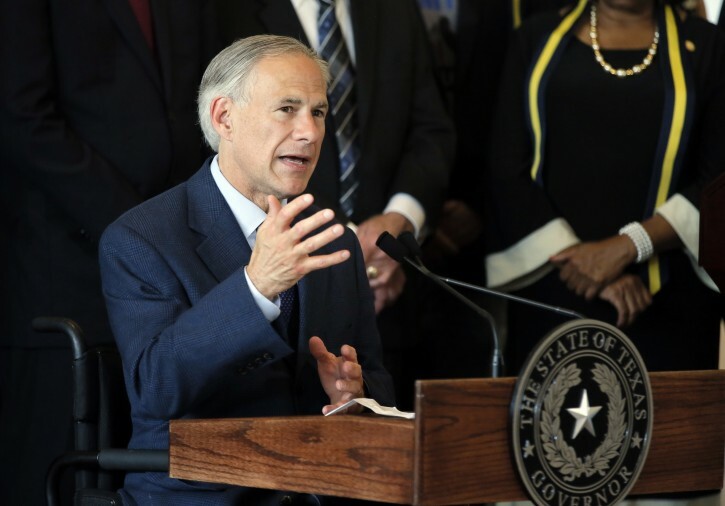 Abbott held a press conference in Dallas on Friday, but didn’t disclose being burned. Hirsch said that his legs were wrapped at the time, but that wasn’t evident since they were covered by his pants. Hirsch said surgery won’t be required immediately, but that Abbott was heading to Brooke Army Medical Center in San Antonio on Monday afternoon to see specialists. He continues to get his legs wrapped daily and should be required to do so for two or three weeks, Hirsch said. The governor’s communications team had been working on a statement detailing the burning Thursday, but abandoned it in the aftermath of the mass shooting, Hirsh said. Instead, Abbott released statements about the attack late Thursday night and early Friday morning, as well as an open letter to Texans, urging unity in the face of tragedy. “For him it was important not to distract from what was happening in Dallas,” Hirsh said. The accident wasn’t reported until late Sunday. Word first appeared in The Austin American Statesman. The governor is chairman of Texas’ delegation to the Republican convention in Cleveland, which begins July 18. But Hirsch said he may now not make the trip, calling a decision about Abbott’s attendance “day-to-day.” Abbott endorsed the presidential bid of Texas Sen. Ted Cruz, but says he supports presumptive nominee Donald Trump. Many Republican elected officials are looking for a way to avoid attending the convention. This guy has a verifiable excuse.